Norman city limits. The BoatHouse is on the western shore of Hog Creek arm just north of Indian Point. 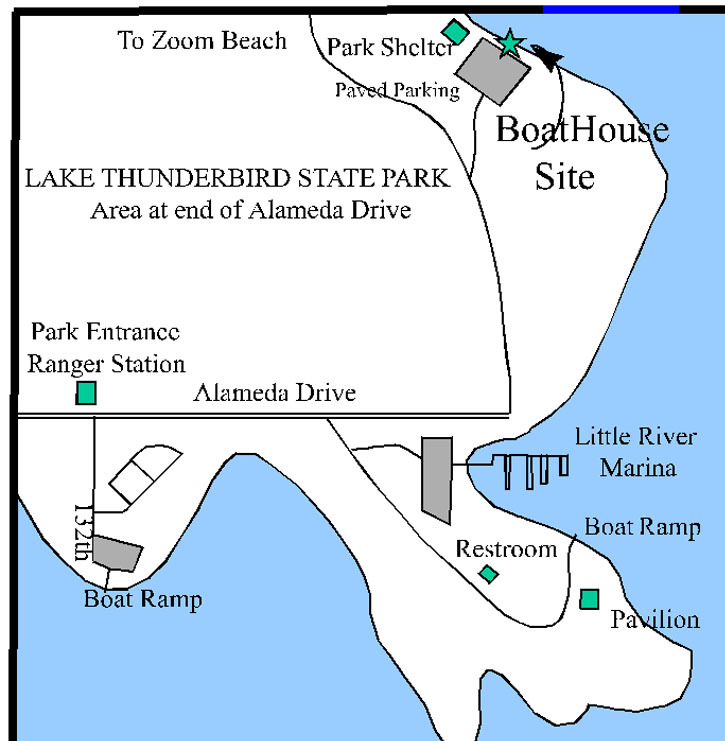 To get to the BoatHouse, drive out Alameda Street, which becomes Alameda Drive until you reach the entrance to the park. Continue on until you have to turn left on Indian Point Road. The next right (with sign) turn leads to the boathouse site.The location of the BoatHouse site protects the cove from the prevailing south/southwest winds. This provides for a calmer area for the beginner sailor but ready access to more interesting winds as they gain confidence.